MORE THAN EIGHT out of ten Ryanair pilots surveyed believe that the airline does not have an “open and transparent safety culture”. In addition, just over two thirds of the 1,000 captains and first officers who took part in the survey said they didn’t feel comfortable raising safety-related issues through Ryanair’s own internal systems. Full details of the results will be aired in a Channel 4 ‘Dispatches’ documentary to be broadcast this evening. Members of the group – which is not recognised by Ryanair, but claims to represent over half of all its pilots – tell the programme their working conditions may have implications for safety. About 70 per cent of our pilots if not more are on a contract, they get paid only if they fly. So that’s the first pressure. I need to fly in order to make a living. In April of this year several hundred pilots signed a petition, calling on Irish and European safety regulators to urgently examine the impact of Ryanair’s employment terms on flight safety. Ryanair management responded by sending a memo which said that “any pilot who participates in this so called petition will be guilty of gross misconduct and will be liable for dismissal”. The Non Ryanair Pilot Group (NRPG )is quite clearly a PR front for pilot trade unions of Ryanair’s competitor airlines. A so called “survey” fabricated by these ECA pilot unions, which does not have access to or contact with the entire 3,000 plus pilots employed by Ryanair, lacks any independence, objectivity or reliability. It is another failed attempt by ECA pilot unions to use non-existent safety “concerns” to advance their 25 year failed campaign to win union recognition in Ryanair. Both Ryanair and the Irish Aviation Authority operate confidential safety reporting systems which allow any Ryanair pilot with any legitimate safety concerns to report these in complete confidentiality – without any fear of reprisal – either through Ryanair’s confidential system or the IAA’s independent and confidential system. Ryanair’s outstanding 29 year safety record is a matter of rigorous oversight and fact based evidence. It is not something that can be voted on or subjected to anonymous or fabricated trade union surveys. 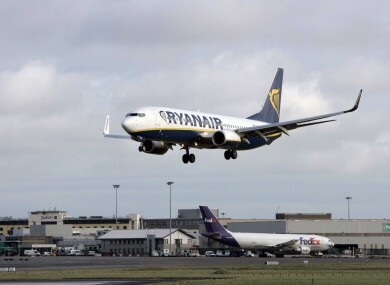 It has been rigorously regulated and independently verified by the Irish Aviation Authority, operating to the highest EU safety requirements – and the IAA have recently confirmed that “Ryanair’s safety is on a par with the safest airlines in Europe”. The Dispatches programme - Ryanair: Secrets from the Cockpit – airs tonight at 8pm on Channel 4, and will be available thereafter on 40D. Email “Ryanair pilots reveal serious concerns about passenger safety”. Feedback on “Ryanair pilots reveal serious concerns about passenger safety”.